Features include built-in dual-stage glass break sensor (with remote microphone) and dual-stage shock sensor. Built-in starter disable relay and flashing light relay. Outputs for door lock/unlock and domelight. 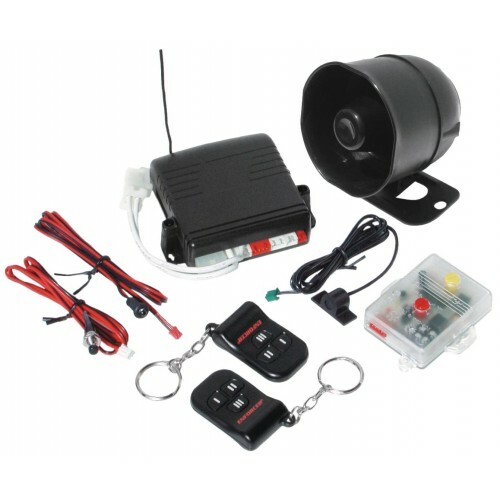 Offers 2-step door unlock output, Automatic Starter Disable, and more. - Arm/disarm up to 200 ft.
- RF CodeWash deletes codes of all remotes (during code learning) to prevent use of lost or stolen remotes.